There are numerous reasons why investing in gold is the smart, logical option for you. Whether you’re looking to significantly diversify your money or you’re simply interested in learning some of the basics, we can help. I’ve narrowed down our top 20 key points to shed light on the importance of putting your savings in gold. The price of gold generally fluctuates independently of stocks and financial markets. Therefore, if the stock market crashed tomorrow and considerably lost its value, the value of precious metals would typically rise. By diversifying your money and investing in both traditional paper currency and gold, you’re covering yourself completely. Unfortunately, it’s a fact that paper currencies have not stood the test of time. Governments around the world have continued to over-print currency, which has diminished its value. This is why someone could purchase a decent car for $5,000 twenty years ago and it would be incredibly difficult to do so today. The prices of houses, cars, and just about everything has skyrocketed and our paper money is worth less and less. The good news? No one can print gold! Therefore, it retains its value consistently, year after year. Gold only becomes available as it’s discovered, there is no way to print it into existence. This makes it a resource that’s monitored incredibly closely, unlike paper money. In contrast, the majority of our paper currency was printed by commercial banks- not the government! Our paper system is essentially based on a value that just doesn’t exist, unlike gold which is a physical, ‘real’ investment. The stock market is a complex, ever-changing system that depends on a variety of moving parts. It can soar one day and crash the next. Gold, on the other hand, remains consistent, because no one can easily obliterate its existence or alter its value overnight. When you buy gold, you have a form of currency that still exists long after banks are bankrupt. Whether you currently invest strictly in paper currency, stocks, unique retirement funds or something else, it’s imperative you aren’t relying only on a system that could go away in a matter of days, or even overnight. The older generation understands the value of investing in a more reliable and smarter system which is why they’re more likely to buy gold to preserve their money. Oftentimes people forget to take inflation into account when they are saving their money. If you’re not due to retire for several years, unfortunately, the cost of living is going to significantly increase in that timeframe. Are your current investments earning enough interest to make up the difference? The answer is probably no. Consider buying gold instead. When things begin to get rocky with the stock market and drastic fluctuations occur, people tend to panic and remove their money from the system. It goes without saying that this puts the entire system at risk of clasping. Rather than leaving your hard-earned money at risk this way, why not invest in a physical asset that you can see, touch, and monitor with your own eyes? It’s the same reason people feel more comfortable investing in real estate – it’s an asset they can tangibly see, similar to when you buy gold. 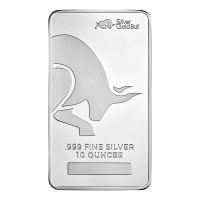 You may be surprised to learn that silver has become more difficult to get ahold of than gold. 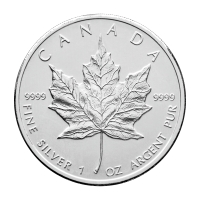 Silver is used in significantly more industries than gold currently is, making it a wise investment to buy silver. Finally, silver is being used faster than we’re able to mine it. 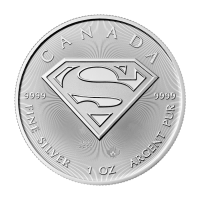 In fact, The United States Geological Service (USGS) has reported that silver may be the first element to go extinct! 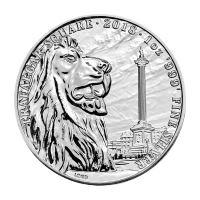 If you’re currently exploring whether or not to buy gold, consider investing in silver, too. Investors, individuals, and families across the globe are currently trying to buy gold at an alarming rate. They’re securing a more reliable wealth for themselves and not being held hostage by the paper currency system. 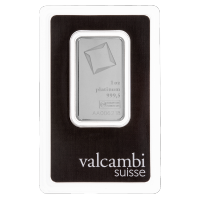 Now is a great time to explore your options in terms of investing in precious metals, while you still have the chance. 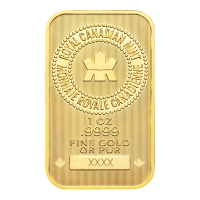 In the event of an emergency, natural disaster or other scenarios that are out of your control, you can easily take your gold with you. Unlike larger investments such as real estate and far-removed retirement funds that you can’t physically see when you buy gold, it means your wealth is always within your reach. Wouldn’t it be nice to know that you are completely in control of how you store and manage part of your financial wealth? How you buy gold and how you store your gold is entirely up to you. Therefore, you’re able to create a system that you built yourself and that you trust explicitly, whether that’s your gun safe or some other storage facility that you control. Speaking of better control, let’s talk data storage and management. How many times have you, your family members, or a friend gotten their credit card or other important information compromised? Unfortunately, it’s all too common for this to happen. With hackers across the globe getting better at their craft, even the most secure credit card transactions aren’t safe anymore. When you buy gold or buy silver, you avoid having to worry about someone hacking your life’s savings. There are several types of gold that you can invest in. You’re able to buy gold bars, rounds, coins, wafers or even jewelry. Whatever form of the precious metal strikes your interest is entirely your call. If you feel most comfortable investing in gold that’s produced by the mint, then opting to buy gold bars and wafers is your best option. When you buy gold, you’re able to see transparent, clear pricing on what you’re purchasing. Most websites offer up-to-the-minute prices and an easy-to-use shopping cart that allows you to review your purchases seamlessly. Also, there are zero hidden fees, commissions or other unknown expenses. How is that for transparency? The world we live in today is using precious metals like silver at a faster rate than ever before. Between new and improved electronic devices to jewelry, to tools and devices of all kinds, it isn’t being mined fast enough. That makes it an incredibly smart investment to buy silver and buy gold. While other forms of currency continuously fluctuate, sporadically losing and gaining value, gold remains stable. It’s far safer to make an investment that is stable yet steadily on the rise than it is to gamble on something more volatile and unpredictable like Bitcoin. Similar to silver, there is not an unlimited supply of gold. When you buy gold, you’re investing in something that the banks cannot simply replicate and continuously falsely inflate. The less the supply, the greater the demand. Currently, mining operations are struggling globally which is more incentive for someone to make the investment in gold. If you’re new to investing in gold, you may seek comfort in the fact that you have the opportunity to sell the gold you buy in a variety of places. There are numerous places online that will buy your gold from you if you decide you want to sell it. Rest assured, you won’t be stuck with it if you change your mind. With gold and silver, you can say goodbye to the days of worrying about counterfeits and other fraud that takes place with paper currency. You can rest assured knowing that gold is an investment you’re not alone in making. 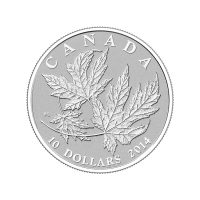 Financial institutions such as banks, investors of all sorts, and collectors all also buy gold and silver. This will ensure it holds its value and retains its importance for years to come. An investment in gold is one you can count on. In an ever-changing financial climate, it can be challenging to know where to invest your money and how to best diversify your portfolio when you need to. When you buy gold, you’re investing in a form of wealth that is universally accepted and more reliable than any paper currency has been in history. 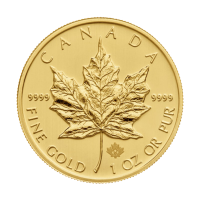 Learn more about how to buy gold and begin investing smarter today.